While doing the usual searches I came across a neat article on an obscure website. Although the ranking of these individuals is purely subjective it is nice to see some “dues” being paid. Chris Nowinski: Wrestling is no longer the costume sport for maladjusted 13-year-old boys: the brief tenure of Chris Nowinski shows that even Harvard-educated guys can take a pounding. 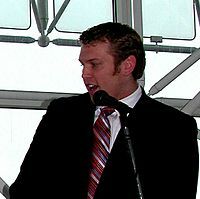 Nowinski was WWE’s first Harvard alum, having studied sociology at the Ivy League school. 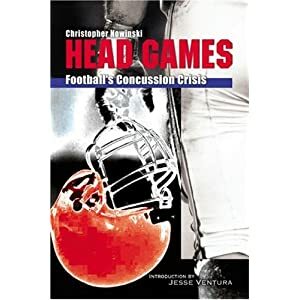 He suffered a number of concussions during his wrestling career, and he retired in 2003 before going on to write Head Games: Football’s Concussion Crisis, which examines the dangers of concussions in football and pro sports. He’s now an expert in the field and serves as president of the Sports Legacy Institute, which is devoted to athlete brain trauma. Not too shabby for a “wrassler” who had is “bell rung” a few too many times. Looking to Spend Some Holiday Cash? Why not buy a book, a good book? First of all, the fact that I am recommending a book will come as a shock to my mother, as she swears I don’t know how to read anything other than the internet and research. Secondly, I am shocked that it took me this freaking long to get this out there. Chris Nowinski of Sports Legacy Institute, and formerly of the WWE and a Harvard football player, wrote a book in 2006 that opened A LOT of eyes. If you have not read it or heard of it, now is a good time to do so. You can visit his website or go to Amazon.com and get it for your Kindle, “Head Games” is the title. Can the NFL Teach the Youth? A story by WCVB TV in Boston takes a look at how the NFL needs to start teaching, by example, how often dangerous hits can cause harm. 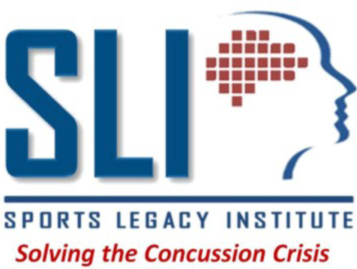 I encourage everyone to visit the Sports Legacy Institute via the link on the left. This is a great initiative that began in 2007 with the ideas from Chris Nowinski. Headed on the medical side by Robert Cantu, MD this program is the leader in CTE research. On Friday October 1st, this conference was held with 192 in attendance listening to the 11 speakers about how head trauma is affecting sports/athletes in Boston, MA. More importantly it was being discussed how the young athlete is most susceptible and preventative steps must be taken. But a lot needs to be studied and in order to do that more brains are needed. Thankfully there are some out there that are willing to donate when the time comes. Some 350 athletes, from all sports and including amateurs, have agreed to donate their brains to the Boston University center since the program’s inception last year; its goal is 750 donations. Meanwhile, six retired pro athletes are participating in a study in which their brains undergo state-of-the-art imaging tests, and they already have produced evidence of lost brain tissue compared to non-athletes. Next month, the center directors said, 200 retired NFL players of all ages and years of experience will begin a program of neurological, psychiatric and medical study that will include spinal taps, to track potential brain injury and disease and find other ways that they can be diagnosed.